Can the New York Times support constructivism? OK, this may have limited application or utility when thinking about educational opportunities in SL. But, perhaps it does in an extended sort of way. First, a few words on why I chose to write about this at all. If I had seen this a few months ago, I would have probably been impressed. The folks at the New York Times had a little article about housing, and included this Java? application as a way to demonstrate how different factors influence housing choices/investments. Now that I’m well into my first course in constructivism and technology (don’t ask why it took so long), this interactive tool takes on a new dimension dimensions. Not only is this very interactive, it challenges folks to validate their assumptions about housing economics in a very interactive fashion. Do you assume that buying a house is an automatic investment? Do you know what the effects the type and terms of a mortgage are on purchasing a house? Preconceptions? Bring ‘em on. The one criticism I have about the simulation is that it does not allow one to factor in how you feel about owning vs. renting. For some folks, they just need to own a home. It makes them feel better. Yes, I realize that quantifying folk’s feelings is next to impossible, but that is the one missing dimension to this simulation. However, overall, it is a very satisfying simulation. After playing around with this for a while, the user should change some of the variables based on their own experiences. The feedback is immediate – a wonderful thing – as the chart moves at each adjustment. This is a great use of technology. 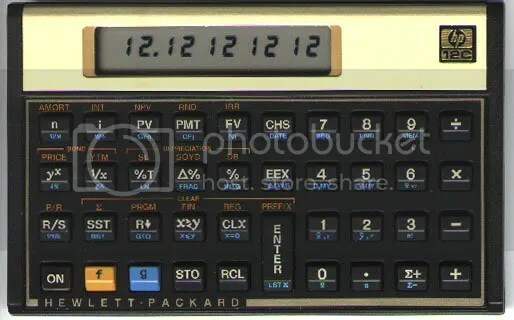 There is just could not get the same visual representation from my HP 12c (though building one in SL would be cool). So, how could you make this work in SL? I don’t know. But if you could, that would be so cool. An even if you had to lower the number of variables/complexity, there would be benefits. Maybe add a way to convert US $ to Linden $? 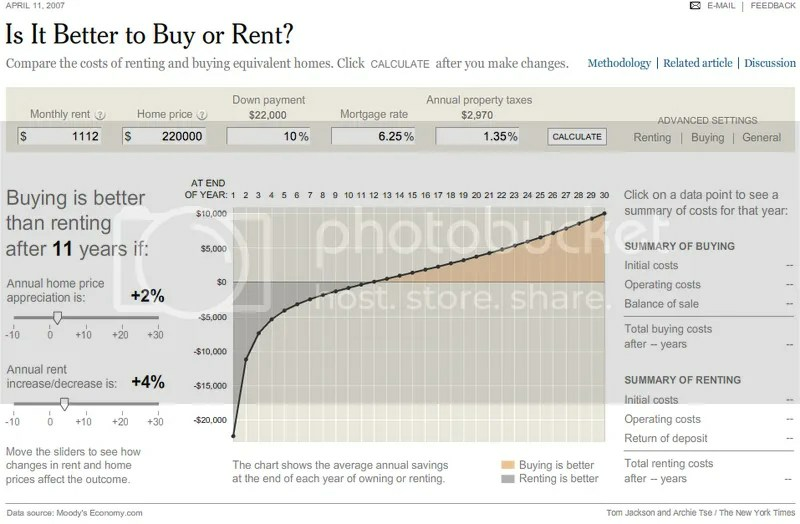 Maybe change the buy/rent model to reflect the buy/rent variables in SL? Maybe just use it as one element in an economics lesson? The big takeaway for me, looking at otherwise daily objects in new ways. This entry was posted in Constructivism and Technology. Bookmark the permalink.